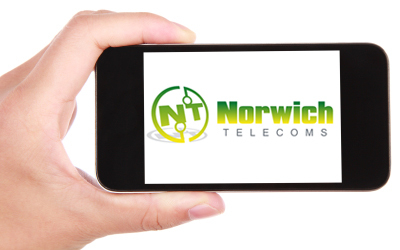 Norwich Telecoms are an independent provider of mobile phone solutions. Along with standard landlines and call packages, we are able to provide a ‘one stop shop’ for all of our client’s business telecoms requirements with the provision of mobile phone solutions. We understand that all businesses are different, which is why we take the time to listen and fully understand each of our clients businesses. We use our industry experience and knowledge to analyse your existing bills, we can then tailor mobile phone packages to your individual business. We have a range of mobile packages available. Following on from an initial consultation and exsting tariff/usage reviews we are able to tailor packages to your business. Business sharer – you buy a monthly set amount of minutes and texts and share it across all the users within your business. Business solo – solo plans offer all the minutes, texts and data you need to stay connected. Pay as you use – designed to save you money with low cost line rental and a pay as you use pricing plan. Bespoke – packages can be designed for individual business needs. To discuss your business mobile telecoms requirements please contact us. Our team are able to analyse your current mobile tariffs and provide you with recommendations on the most appropriate mobiles tariffs available for your business. A local, single point of contact for all business telecoms requirements. Free calls between company mobiles. Annual account reviews – Yearly account analysis to review current usage trends and establish that the most suitable tariffs are in place. To request a free, no obligation review of your existing mobile tariffs, please contact us. Insuring your mobile phone means you don’t need to worry if anything happens to your handset.